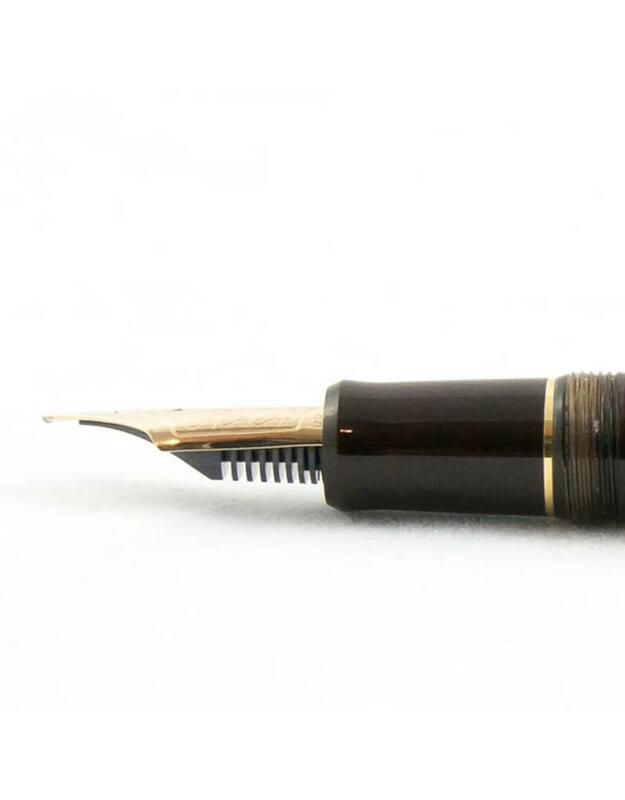 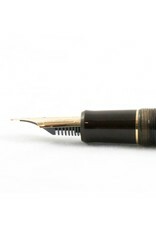 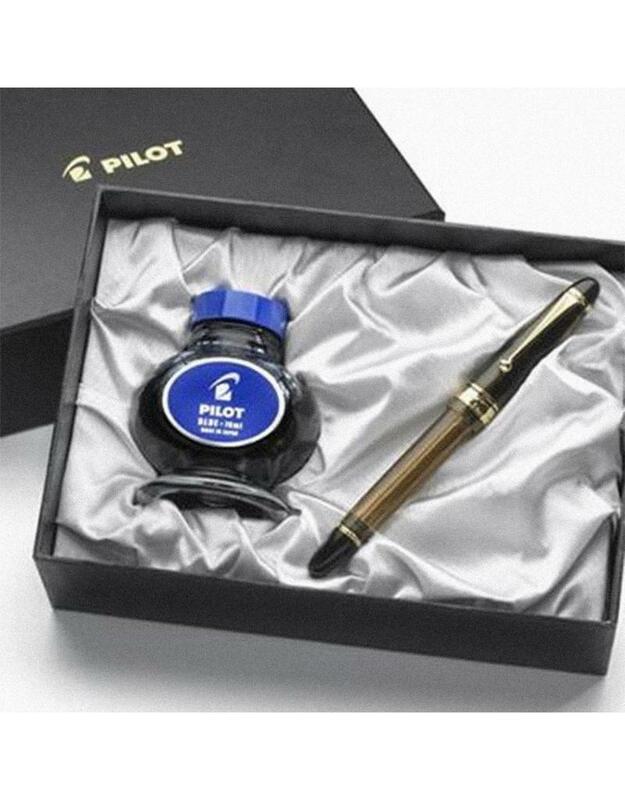 The Pilot Custom 823 exquisitely employs a translucent amber cap and barrel to provide a visible ink supply. 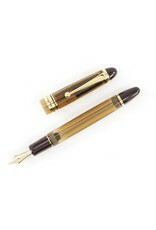 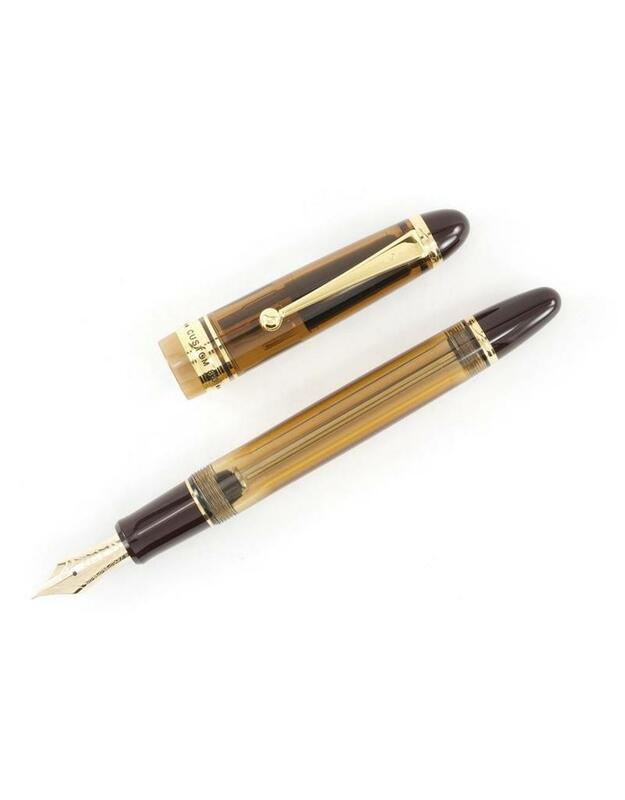 Features include a clean vacuum filling system, a 14k gold nib and matching gold trim. 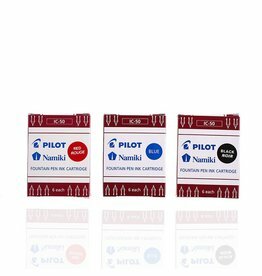 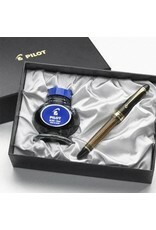 The 823 is nested in a silver sateen lined Pilot gift box with a 70ml bottle of Pilot Blue fountain pen ink. 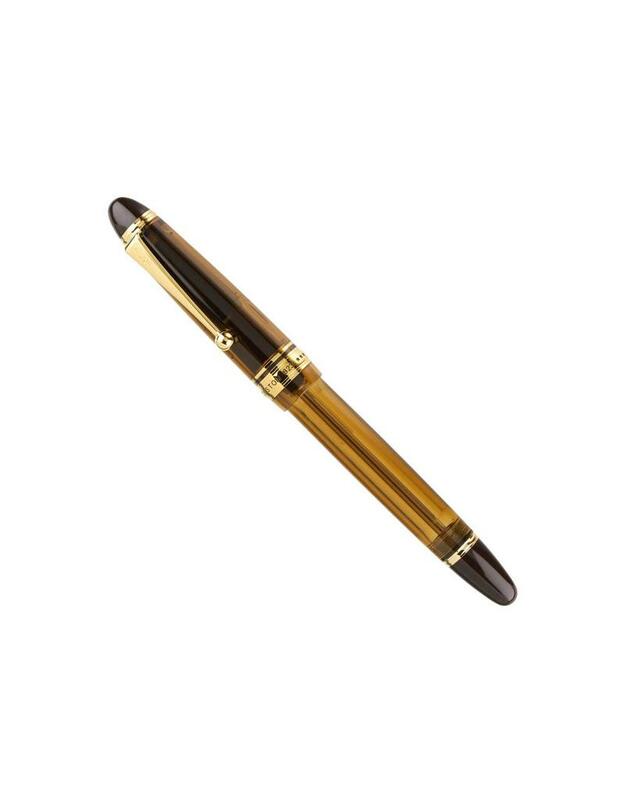 A classic and dignified design paired with a smooth, consistent line suitable for everyday writing.